Her parents served in the United States Foreign Service so she grew up outside of the United States. She moved to Minnesota in 1999. She ran unsuccessfully for the Democratic-Farmer-Labor party endorsement in House District 61A in the 2012 primary election. She lost the endorsement to Frank Hornstein. 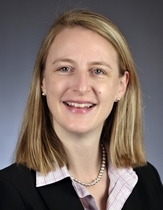 She successfully ran for the Hennepin County Board in a special election in May 2014. Boros, Karen. "Hennepin County Commissioner Election Interview: Marion Greene." MinnPost, April 24, 2014. Geiger, Bob. "Greene Exits House After One Term." Session Weekly, St. Paul: Minnesota House of Representatives Information Office, April 27, 2012, p. 22. Ostberg, Patty. "Make a Difference." Session Weekly, St. Paul: Minnesota House of Representatives Information Office, January 21, 2011, p. 15.